It’s great to get out and explore what the world has to offer: there are incredible destinations to visit, and sights you’ll never forget seeing… for instance, many of us only dream of seeing the sun set over Bosphorus Bridge in Istanbul, and who wouldn’t enjoy sipping a Cuba Libre in Cayo Guillermo!? But, there are so many places that are worth seeing closer to home, too. America has vibrant and world-renowned cities such as New York (you can browse hotels in New York through a company like Trip, for example, if the Big Apple takes your fancy! ), and there’s nothing on earth that compares to a weekend in Las Vegas. But what about the natural wonders of the US? Well, here are three places that might just inspire your next trip. 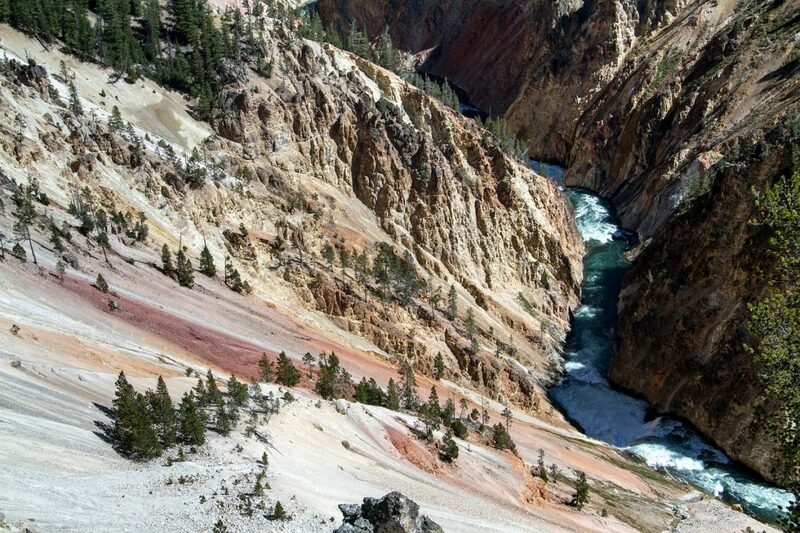 Travelers who visit Yellowstone say that it looks like “something from another planet”, and it’s easy to see why. The landscape is so varied here, with mountains, forests, canyons, hot springs and geysers, and steam rising steadily from the ground. But, because it’s nearly 9,000 km², you’re not going to be able to see absolutely everything. So narrow it down to a selection of things you want to see depending how much time you have. Old Faithful (the most active geyser in all of Yellowstone) is perhaps the most popular tourist attraction in the park, meaning it’s a good idea to head out early to tick it off your bucket list right away if it’s something you want to experience for yourself. Also, the main road in Yellowstone is pretty much a loop, so you can continue heading clockwise working around the park in a circle – the Upper Geyser Basin is right next door and has the largest concentration of hot pools in the world in fantastic colors. The Old Faithful Inn is close by too, and visitors say it’s well worth checking out. The tour is free, and they’ll tell you all about the history of the park and its first visitors as well as the hotel itself. 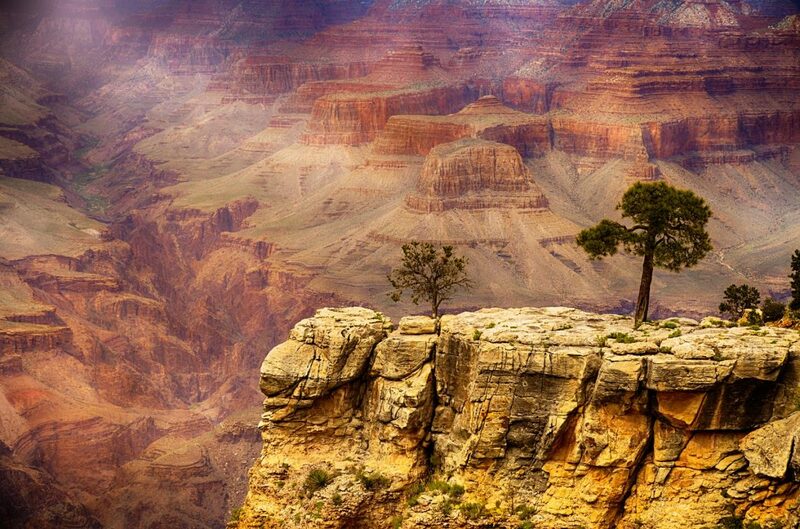 No matter how many photos you see of the Grand Canyon, nothing will really prepare you for seeing it for yourself. Not only is it a natural wonder of the US, it’s also one of the seven natural wonders of the world, and is the kind of place where you could just sit and watch the sun set and keep in your memory forever. Like Yellowstone, the Grand Canyon is so vast that you’ll need to do a bit of careful planning if you really want to get the most out of being there. If you only have the time (or the energy!) for one hike while you’re there, guides recommend checking out the Kaibab Trail to Cedar Ridge. It’s a 3-mile circular walk and will give you a different view of the canyon to one you’ll get if you simply park up and look at it. There are lots of other short hikes you can do depending on where you’re staying in the National Park, so talk to guides or fellow travelers for a tip-off! Also, consider visiting in October if you can. The summer months are packed full of tourists and travelers who are making the most of school vacations, so you might find it more fun if you head there outside of the busiest season of the year. And, the fall weather arguably gives the Canyon its most striking colors – the aspens change hue in fall, and the heat isn’t anywhere near as intense either. The Everglades is definitely somewhere to check out if you’re into fishing, camping or being on the water. In fact, most of the park is only accessible by water, so expect to be boating and air boating (so much fun!) if you pay it a visit. The Everglades is the kind of place that looks placid, but beneath the murky waters, there’s plenty of wild stuff going on. If you head out in a canoe, for example, be sure to look for what might appear to be piece of driftwood floating along the surface… look a little closer, and you’ll notice that it’s actually an alligator! The Everglades is teeming with wildlife like this, so turn up for the Glades Glimpse, a Python Talk or ranger-led bike ride if you want to see it without getting too close. There’s a schedule of events here, with details of where to meet and what time the talks and tours begin. Would you travel to any of these US natural wonders rather than heading to Asia or Europe? And are there any other natural wonders you’d love to see?